February, 2015 | Sell your Scrap Gold and Silver online. February the 6th of this year 2015 it was made known to the public. The United States mints in West Point and Philadelphia will begin making the new 2015 March of Dimes Exclusive Silver Dimes. Each new dime will have the letter stamped on it as to where it was made. The stamp will either be a (W) for West Point or a (P) for Philadelphia. The 2015 March of Dimes also confirmed that the exclusive Silver Dimes will be on sale in March of this year 2015. This is the best time to plan to how to get your special Exclusive coin. It is unclear if a percent will actually go to The March of Dimes Foundation. The dimes will feature a picture of President Roosevelt on the front and an infant on the back stamped The March of Dimes. The March of Dimes is a foundation that raises money for medical research and medical cost for infants and children who are stricken with birth defect. The current silver prices have not as of yet been affected by the minting of the new coins. The current silver price stands at $16.50 per troy ounce. However, once the dimes are in circulation the silver coin prices may change drastically. The reason for the increase is because of investors and collectors. When the silver dimes go into circulation silver investment may increase. Silver investment is a good form of investing especially if you have the facility to store the silver. The same can be said with vast coin collection. An avid coin collector needs to have the proper amount of space to keep large rare collections. Silver investors and silver dime collectors want special coins like the 2015 March of Dimes exclusive Silver Dime. Once it is made available in March collectors and investors will stock up on them. This entry was posted in Silver Investment and tagged silver coin prices, silver dimes, Silver Investment, silver mints, Silver prices on February 19, 2015 by SilverPrices.com Editorial Team. With prices of equities being so high and interest on bonds or bank deposits being so low, many investors have been turning again to metals. But it is not only about looking for higher return as it also serves well to properly diversify a portfolio. Thus, it comes at no great surprise that silver investment has become increasingly appealing and interesting to consider. Yet, is there such a thing as the best time to buy silver? In order to provide the best answer to that, it is the best to look at the historical prices of silver. If you do just that, you will realize right away how different silver is from gold. Actually, silver prices has not had nearly such a roller coaster ride like gold did. During the last 12 months, it moved from $17 per troy ounce to $20 and then back down to the lows of around 15 before it starts to settle down currently at the $17 level again. This points out that silver has smaller volatility than gold does which moved all over the map, from high of $1700 to the low of $1100 per troy ounce. Lower volatility means that silver is much safer investment than gold may be. This last 12-months price movement also means that silver has set a firm $15 support line which was tested 3 times with market moving swiftly up from those points. It also means that right now, with prices being at just north of $17, it might be a right time to do some investing in this metal. Prices seem ready to move up to test an upper band, or resistance the way technical analysts would like to call it, which is those $20. Even if the market does not go above that area, $20 is still over 15 percent higher than where it is right now. There are many different ways to invest in silver. 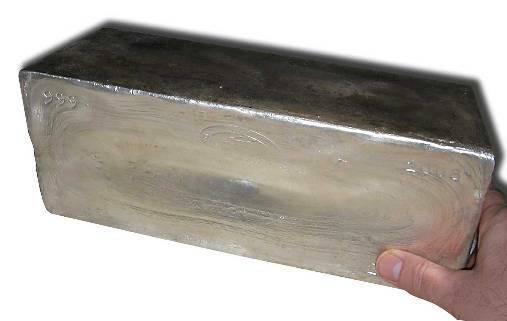 Investors can purchase coins or silver bars, much like gold investors do. This can later can be sold to respectable dealers but incur the cost of storage and delivery. They can also buy it as a financial instrument through their broker in a way of futures or spot contracts. But these can carry elevated risks since they can be purchased on very low margins. Or they can also choose to invest in silver ETF which might just be the best way to combine further appreciation of the stock market and the future rise of the metal itself. This entry was posted in Silver Investment, Silver Prices and tagged precious metals, Prices on silver, silver, Silver bullion, Silver coins, silver price, Silver prices on February 5, 2015 by SilverPrices.com Editorial Team.